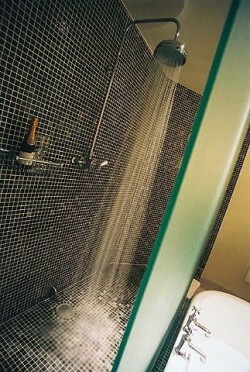 There is no step into the shower and usually, no shower door, with the entire room waterproofed and a large drain in the floor which is built on a slant for water to drain away. Some wet rooms are small whilst others have a glass screen to keep part of the room dry and can include hand basins, baths, cabinets and toilets. Because the room has to be absolutely watertight, you usually have the room dry-lined with something called Wedi board - a reinforced, rigid polystyrene board which is completely waterproof if fitted correctly. Newport Bathroom Centre have fully trained installers and use a German 'Wedi' fully sealed system to prevent moisture entering the building materials. If you can provide us with measurements and general concepts of what you would like; we can design and supply wet rooms UK wide with all the equipment you will need for either self installation or for installation by a local trades person. 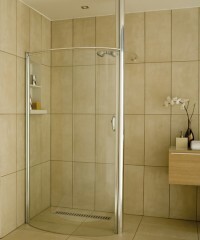 We are also suppliers and fitters of the latest British innovation the Ultimate Wetroom system the Kudos Newport4ma. 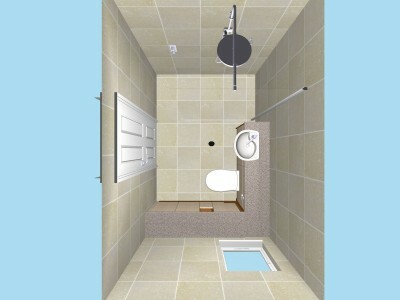 If you live near us in South Wales then we would be delighted to install your wet room as well.